TALLINN, Estonia—At a bombing range in Estonia, U.S. fighter pilots are training to fight a far more technologically sophisticated adversary than they’ve faced in war zones like Afghanistan, Syria, or Iraq since 2001. And they’re training to do so without relying on America’s vaunted technological dominance in air power. “We’re dropping just old-school, dumb bombs,” said Garrick, an Ohio Air National Guard major and F-16 pilot currently deployed to Estonia with the 112th Expeditionary Fighter Squadron. Due to security concerns, the pilot asked that only his first name be published. “We’re like the old-school Vietnam guys rolling in, putting the thing on the thing,” Garrick told The Daily Signal in an interview. Training with “degraded” technology is nothing new for U.S. military pilots. Yet, in light of the increasing potency of electronic warfare and cyberwarfare such as Russia and China, the ability to fight an air war with limited technology has become more urgent. Consequently, as the Pentagon prepares for a new era of conventional military threats, there’s a growing chorus among the U.S. military’s rank and file, as well as outside experts, to adopt a “back to the basics” training focus. “GPS-guided munitions are incredibly easy to use, and our reliance on them has all but killed units from training for ‘dumb bomb’ employment,” said John Venable, senior research fellow for defense policy at The Heritage Foundation. Lt. Col. Greg Barasch, commander of the 112th Expeditionary Fighter Squadron, puts it plainly during an interview with The Daily Signal in Tallinn. For U.S. pilots, that “one arm behind your back” scenario means, among other things, carrying out airstrikes with unguided, free-fall “dumb bombs” that depend on a pilot’s touch to ballistically lob onto a target. That kind of skill set, which dates back to the earliest air combat sorties of World War I, is one that some experts say has atrophied among U.S. combat pilots after decades of relying on advanced, guided munitions. 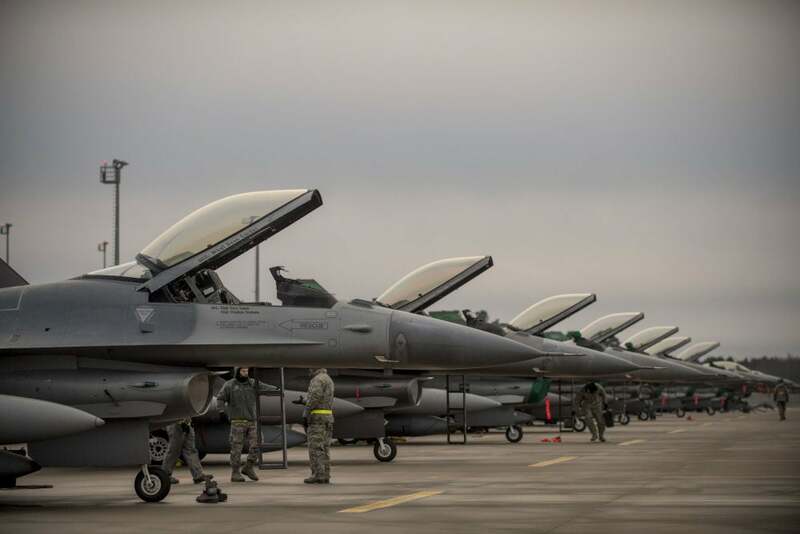 As part of a “theater security package” mission, on Jan. 14 the Ohio Air National Guard’s 180th Fighter Wing deployed 12 F-16 fighter jets and nearly 300 personnel as the 112th Expeditionary Fighter Squadron to Ämari Air Base, Estonia. 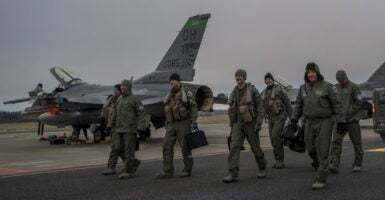 Approximately 75 Air Force personnel from the 52nd Fighter Wing, Spangdahlem Air Base, Germany, are supporting the Ohio Air National Guard unit, which will remain in Estonia until March 7. U.S. F-16s from the 180th Fighter Wing, Ohio Air National Guard, park on the ramp at Amari Air Base, Estonia, after arriving Jan. 14, 2018. Russia’s 2014 invasion and seizure of Ukraine’s Crimean Peninsula and subsequent, ongoing proxy war in Ukraine’s eastern Donbas region has countries throughout Eastern Europe on edge. In particular, the Baltic countries of Estonia, Latvia, and Lithuania—all NATO members—take the threat of Russian military aggression with deadly earnestness. In Estonia, the U.S. pilots are not focusing on any one particular skill set or threat. Their daily training missions span the gamut of the F-16’s diverse combat mission portfolio, including close air support and air-to-air combat. One skill the F-16 pilots said they have not let atrophy—even if it hasn’t been a key piece of the counterinsurgency fight since 2001—is air-to-air combat. The F-16 pilots say that air combat proficiency develops airmanship skills that are useful across the board for all types of missions. Consequently, even in the “spin-up” period before a deployment to a counterinsurgency combat theater such as Afghanistan, the pilots’ training always includes air-to-air scenarios. “We put a lot of effort into air-to-air because it makes you better at everything else,” said Barasch, who has been on combat deployments to both Iraq and Afghanistan. For that reason, the U.S. F-16 pilots in Estonia said they don’t have any ground to make up when it comes to air combat skills, even as America’s armed forces pivot from a counterinsurgency focus to preparing for conventional conflicts against near-peer adversaries such as China and Russia, in which air-to-air combat is a possibility. “While we’re not fighting that war, we’re always training to that,” Barasch said, adding that air-to-air combat is a perishable skill. “You don’t do it well by doing it a couple weeks a year,” the F-16 squadron commander said. In Estonia, the daily routine of the F-16 pilots from the Ohio Air National Guard typically comprises air-to-air combat training in the morning followed by air-to-ground missions in the afternoons. The pilots said they get enough flying hours, at home and while deployed, to be proficient in the myriad mission sets with which they are tasked. “If I want sorties, I get them,” Garrick said. In a report for Heritage in April 2017, the former F-16 pilot warned that after years of a counterinsurgency operation focus, and an institutionally ingrained reliance on precision munitions, the Air Force has ground to make up when it comes to training its pilots to operate in a degraded environment. Venable described delivering unguided munitions as an “art form,” which requires hundreds of repetitions to be mastered. Legitimately, for the past eight years, the Air Force has made a pretty big push in what they call contested, degraded operations … to build that into your plan of training of whether you’re comm jammed, or you have some other kind of jamming going on, if data links don’t work, GPS is denied all those sorts of things—it’s pretty standard now throughout the fighter community. It’s to the point now that in almost all our training missions we have something like that going on, because if you have the technology, it’s going to be easy. Russia’s military aggression against Ukraine has provided the U.S. Army with a case study in Russian hybrid warfare as well as a blueprint for revamping U.S. training to counter this burgeoning threat. In 2017, the Army’s Asymmetric Warfare Group released the “Russian New Generation Warfare Handbook,” which analyzed Russia’s hybrid warfare playbook in Ukraine and Syria, and outlined a litany of resultant recommendations for U.S. forces. “Our focus at the operational and tactical levels should not be on the ‘newest kit,’ but what we have to do in order to achieve success without it,” the Army handbook said. Russian military forces operating in Ukraine wielded myriad electronic warfare systems to jam or spy upon the Ukrainians’ front-line communication systems—including radio, cellular, satellite, and GPS. Thus, Russian electronic warfare operations created a command and control nightmare for Ukrainian forces, leading to battlefield confusion and heavy losses in instances when front-line soldiers were cut off from their leaders, and thus effectively frozen. The effect was compounded by the lingering, pervasive “Soviet mindset” among Ukraine’s armed forces, in which front-line soldiers were not empowered to act independently in the absence of clear-cut orders from commanders. 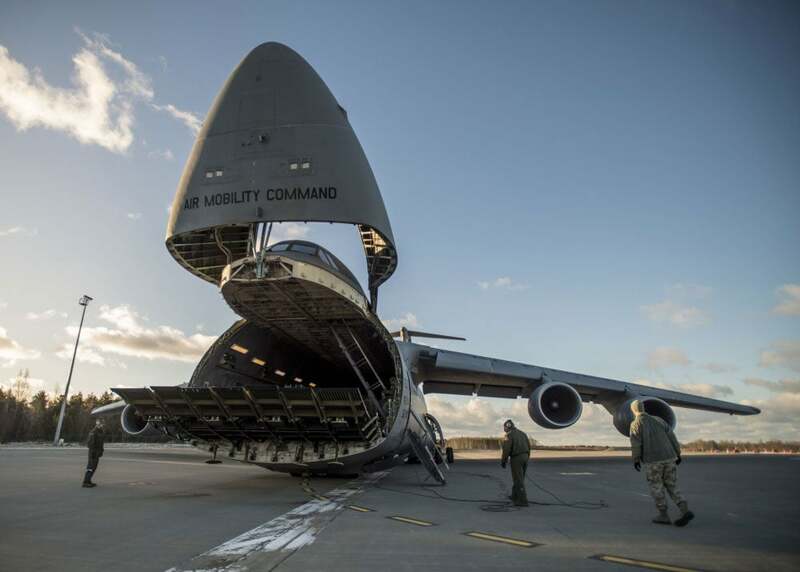 A U.S. C-5 Galaxy cargo plane delivers supplies to support the 112th Expeditionary Fighter Squadron deployed to Amari Air Base, Estonia. Using lessons learned from roughly four years of combat experience against Russian forces, Ukraine’s military has prioritized making its command and control process less rigid, as well as empowering front-line enlisted combat personnel and noncommissioned officer corps to be more autonomous. That includes training ground troops and pilots to be proficient in multiple methods of communicating target locations and identifying friendly units, in the event an adversary knocks out communication systems. The use of flashing strobes was one recommendation. “The older techniques of nonverbal communication providing redundancy to standard communications will be essential to operating in a degraded environment,” the report said. The ability to wage war in a degraded environment is not just about a pilot’s skills—it’s also about attitude. To that end, U.S. fighter pilots train to operate independently and are empowered to use their own judgment in the heat of battle. Prior to a mission, U.S. pilots are given a commander’s intent—basically a general concept of what a particular mission is meant to accomplish. Yet, the individual flight leads and pilots have the autonomy and leeway to make decisions on the fly to execute their mission, as long as they stay within the bounds of pre-established rules of engagement. That kind of independent mindset is a unique attribute among American combat pilots. And it’s a behavioral trait—one ingrained in training—that could serve them particularly well in a conflict against an adversary such as Russia, in which communication with command and control units could be cut off. In that way, the quick-thinking, independent, flexible, and aggressive behavioral traits of America’s combat pilots may be among their most effective air combat tools—and their most reliable in a near-peer, conventional conflict against a technologically sophisticated adversary. Barasch called the autonomous mindset of U.S. combat pilots a definite advantage over potential adversaries. Along that line of thinking, Pentagon officials have pushed to make the U.S. military’s unmanned aerial vehicles, or drones, more autonomous through the use of burgeoning technologies such as artificial intelligence. 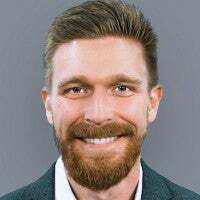 Autonomy reduces a drone’s vulnerability to electronic warfare countermeasures, which could disrupt data links, spoof GPS signals, or even implant viruses in its onboard software. “As we develop systems that include things like artificial intelligence and autonomy, we have to be very careful that we don’t design them in a way where those systems actually absolve humans of that decision,” Air Force Gen. Paul Selva, vice chairman of the Joint Chiefs of Staff, told the Center for Strategic and International Studies in August 2016. Yet, for the time being, American air power still depends on manned combat aircraft to fight a conflict against a near-peer adversary. And, so long as that remains the case, the greatest hedge against an adversary’s technological countermeasures may be the ability of a human pilot to hand-fly his or her aircraft, make snap decisions in high-stress situations, and, in the end, find a way to put a weapon on target to kill the enemy—even if that means lobbing an unguided dumb bomb. Despite all the technology at their disposal, modern U.S. military pilots still need to have the “right stuff” to win an air war—perhaps more than ever before, considering the unprecedented combination of so-called “old school” air combat skills and high-tech weapons systems they must simultaneously master.